Housing a 12" woofer, the SUB 702-AS II, is a very compact active sub enclosure and features a 1400 W powerful digital amplifier. It is the ideal complement to 8" or 10" speakers, creating small but powerful satellite systems with outstanding performance. Thanks to its compact size it can easily be carried and is very quick and easy to start using the built-in digital stereo crossover (DSP) with adjustable crossover frequency to connect the satellite. SPL - HIGH POWER OUTPUT Superior and incredible SPL levels guaranteed also in open air and at long distance. INTEGRATED DSP The built-in digital stereo crossover with adjustable crossover frequency allows SUB 702-AS II to be easily and quickly set up as a sub-satellite speaker system. 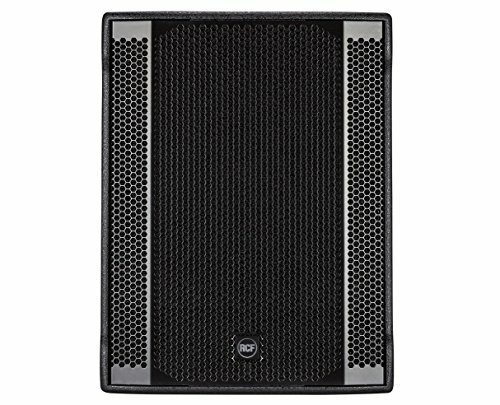 COMPATIBLE WITH RCF PROFESSIONAL SPEAKERS The SUB 702-AS II is designed to integrate seamlessly into RCF professional speakers. The bass reflex design guarantees a deep, linear power response while the 2.5'' voice coil design woofer offers the minimum of power compression. SUB 702-AS II is the perfect match for 8", 10" or 12" satellite speakers. It is also the ideal companion subwoofer for the RCF ART 3, ART 7 or D-Line Series. DEEP BASS SOUND Two selectable equalisations to experience the extremely deep response and precise low frequency control.